“I focus on delivering a product, on making sure our clients are well prepared and on being responsive. I never let a client hang, wondering what’s next. If I'm in trial, for example, and get a client call, I'll get them a message that I'll call them that night. I try to take some of the pressure off of them." "Liskow through its lawyers Gene Fendler and Scott Seiler have handled our toxic tort litigation for the last 20 years. They are exceptional lawyers and top notch litigators." 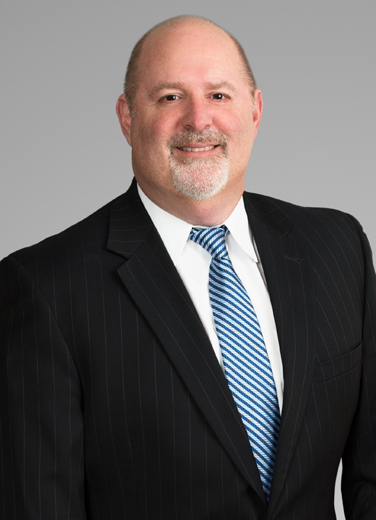 Scott Seiler focuses on large, high-exposure litigation involving occupational disease, mass tort, environmental cleanup, property damage, contribution disputes and insurance coverage litigation in Louisiana's state and federal courts. Major industrial clients have turned to Scott for help with difficult cases involving petroleum, asbestos, benzene, ozone, dioxin, mold and other substances. He was appointed Special Master of the Court in several class action mold and fungal substances cases. In his environmental litigation practice, Scott has handled contamination and spill-related damage claims, including his representation of BP America and BP Exploration and Production for claims under the Oil Pollution Act following the Deepwater Horizon Incident. Scott has planned, created and managed large, complex litigation structures and teams to deal with big cases – onshore, as well as in the Gulf – related to occupational disease and toxic tort litigation. He has helped major domestic and multinational clients facing whistle-blower actions, criminal liability for environmental regulatory violations, transactional concerns with environmental regulations, citizen suits, wetlands regulation and toxic tort cases involving asbestos, solvents and petroleum products. Representing BP in toxic tort litigation and in the OPA and Medical Class Claims Processes Following the Deepwater Horizon Incident. Lori Brown, et al. v. Credit Suisse First Boston Corporation, et al., No. 2002-13738, Civil District Court, Parish of Orleans, State of Louisiana. Cecelia Powell, et al. v. Credit Suisse First Boston Mortgage Capital LLC, et al., No. 2004-11069, Civil District Court, Parish of Orleans, State of Louisiana. Philip Bayer, et al. v. OMNI Hotels Management Corporation, et al., No. 2003-17354, Civil District Court, Parish of Orleans, State of Louisiana. Representing numerous clients in occupational disease and premises litigation, including major shipyards, sulphur mining, chemical and petrochemical companies. He has also presented lectures and seminars on toxic tort, asbestos and naturally occurring radioactive material (NORM) litigation. Scott has published several articles and contributes to the SEER's Year in Review publication. Scott likes football and baseball (LSU) and goes to as many games with his wife and family as he can. He also enjoys musical theater (just about anything on Broadway) and gardening with his wife, Michele. When time permits, he tries to make exercise classes at the gym and an occasional golf outing with friends.